​This refreshing Body Mist helps to revitalize the skin any time of the day. Lactic acid deeply cleanses and balances pores, while natural botanical extracts of Chamomile, Lavender and Lemon Balm work to detoxify and soothe the skin. ProVitamin B5 and extract of Honey combines with Glycerin and Sodium PCA to attract moisture to the skin and increase elasticity making this ideal for dry or dehydrated skin. Mist this non-alcoholic, water based formula, freely all over your body and even your hair. Perfect for use after your bath or shower. Generously spray all over the body before applying your lotion to help seal in more moisture. Excellent to use before a steam bath, sauna or a day outdoors. Lightly scented in the fragrance of your choice or fragrance free. 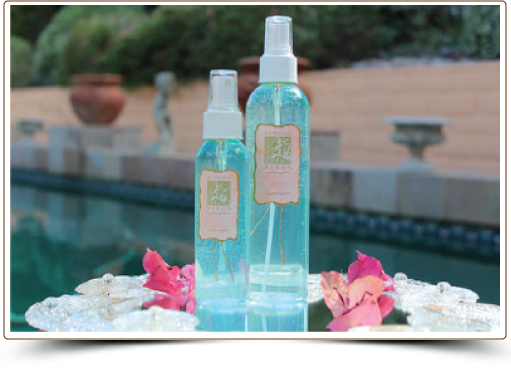 As a special treat, the Revitalizing Body Mist can also be used to freshen your cotton sheets and towels.